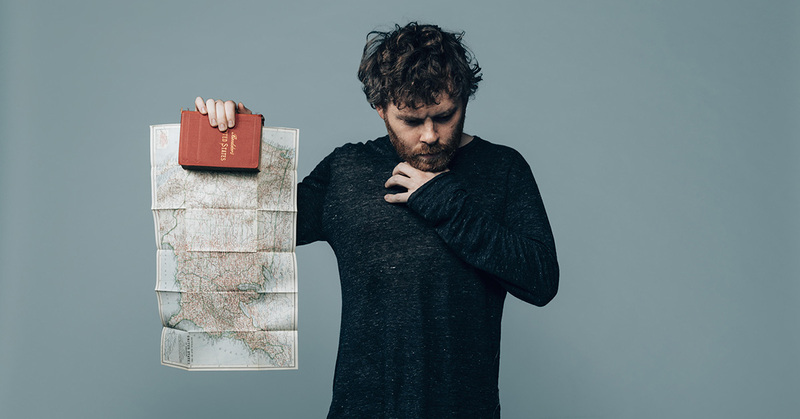 With grace and honesty, Gabriel Kahane’s ‘Book of Travelers’ crafts an intimate look at America in a politically charged time. In November of 2017, Gabriel Kahane penned an article for The New York Times entitled, “How the Amtrak Dining Car Could Heal the Nation.” He details how, on the morning after election day in 2016, he set off on a cross country Amtrak trip without a phone, seeking an escape from his New York bubble and new narrative frame. 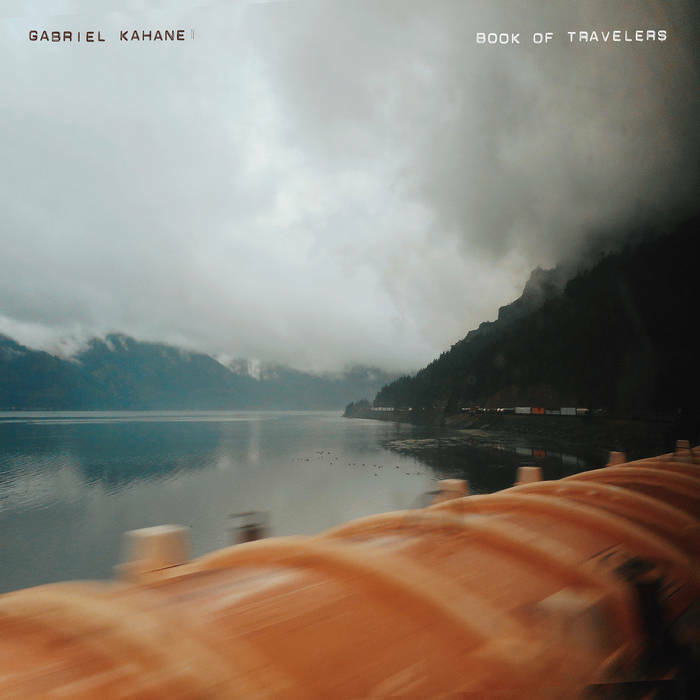 Thus, Book of Travelers was brought into being (released August 24, 2018 via Nonesuch Records). Kahane is a composer, multi-instrumentalist, and singer-songwriter, known for his sweeping and detailed narratives of people and places – his 2014 album The Ambassador traveled through a real and fictional Los Angeles, weaving complex stories about its landmarks and inhabitants. On the flip side, his sense of humor shines in 2007’s Craigslistlieder, a song cycle using source material from, well, Craigslist. Musically, he draws influence from his classical background, folk traditions, and even jazz. Book of Travelers is no different in its attention to detail, but its focus leads to a concept album with even more specificity. On Kahane’s cross country trip, his goal was not only to travel, but to connect with others after “the rupture in our body politic.” Each day, he sat in the dining car and listened to the stories of strangers: “postmasters, real estate agents, nuclear engineers, schoolteachers, farm equipment saleswomen, nurses, long haul truck drivers, retirees headed to the Grand Canyon, retirees headed back from the Grand Canyon, a sea-steading software engineer,” and more. The resulting album is a powerful one. Its instrumentation is slim – only Kahane on a dark-toned, (literally) muted piano – but the stories and the way in which they’re delivered transcend everything to create an astonishing time capsule of a precipitous moment in American history. Kahane describes the album as “a plea for empathy.” As NPR’s Ari Shapiro points out in a conversation with Kahane, the album sounds like it would be very political (and in many ways it is), but that it ultimately is extremely specific and individual. The album moves through a series of vignettes, most of which come directly from Kahane’s interactions with his fellow diners. He kept a handwritten journal throughout his trip, recording his conversations from memory, some then sung almost verbatim. Almost no song is inherently political, and yet, each seem to reflect something in the fractured and disparate climate of our country. Darkness is threaded through the album, with songs like “Friends of Friends of Bill,” about a faith-driven mother whose son dies of an opioid addiction, or “Model Trains,” where a woman’s husband hits his head and “disappears” beneath a vacant smile and a “clean white scar.” Where The Ambassador focused on geography and the specificity of place, Book of Travelers nearly eschews it completely. The effect is something both timeless and place-less, implying that these people would be anyone from anywhere—and given the nature of a cross-country train, they really are. Of the working white man. To let those people through. Ain’t that a familiar tune? Kahane never really answers his own question. To escape in the current climate is to become disengaged, but to remain mired in it often spells political overwhelm. He asks that we engage in people—in their lives, in their stories, in their experiences—but he doesn’t claim to know how we might proceed from here. He writes in the Times article, “To be sure, I encountered people whose politics I found abhorrent, dangerous, and destructive, but in just about every instance, there was something about the person’s relationship to family, and loyalty to family, that I found deeply moving.” What he has offered to the world is a startling, occasionally uncomfortable, sensitive, beautiful patchwork of lives, doing so with grace and self-awareness. 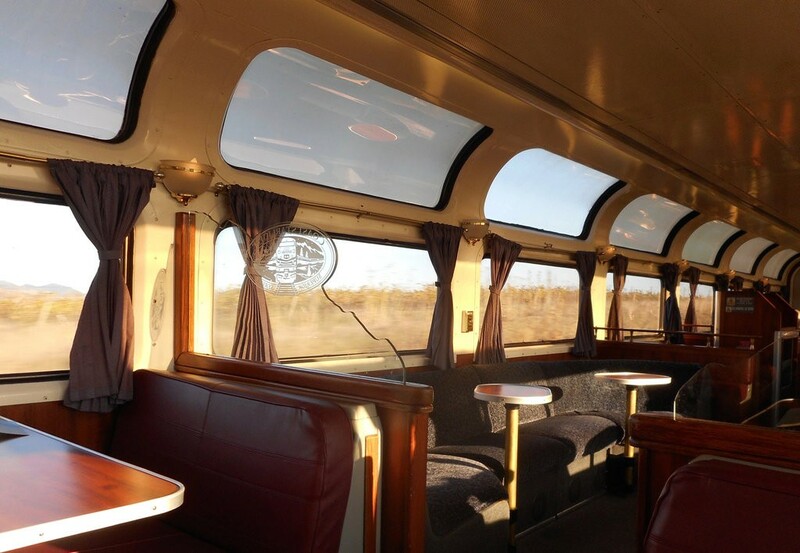 It allows the listener a view into the quiet, moving vessel of the train, carrying humanity across a country that is unsure of itself. It’s a sad, but ultimately hopeful reminder of who we are—a large nation built on differences—and here, we might live in a tiny, muted version of this place for a little under an hour. Catch Gabriel Kahane on tour this fall.